Not impressed! 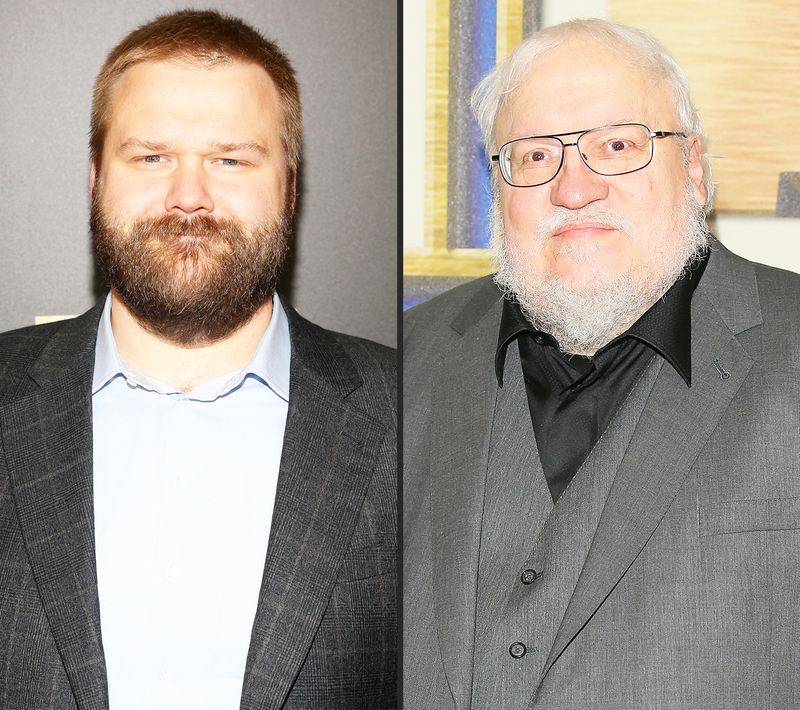 The Walking Dead creator Robert Kirkman threw shade at Game of Thrones author George R.R. Martin in a new interview with Rolling Stone on Tuesday, May 31. PHOTOS: Game of Thrones Characters and Their Look-Alikes! Kirkman, 37, expressed his opinion on Martin revealing the ending of Game of Thrones to HBO. Since the TV show is moving faster than Martin is writing the sixth book, the author let the producers in on the key plot points to come. "I would never do that. That&apos;s the one thing I’m disappointed in George R.R. Martin for doing. He should have just been like, &apos;F‑‑k you. You make it up now, I&apos;ll get to mine when I’m ready,&apos;" Kirkman, who pens the popular comic book series the hit AMC show — which he also writes for — is based on, told Rolling Stone. The current sixth season of Game of Thrones is covering some events which supposedly occur in Martin’s yet-to-be-released novel, The Winds of Winter. The author, 67, took to his blog back in January to explain why he was delayed in completing the sixth book in the series. "The Winds of Winter is not finished," he wrote. "Believe me, it gave me no pleasure to type those words. You&apos;re disappointed, and you’re not alone. My editors and publishers are disappointed, HBO is disappointed, my agents and foreign publishers and translators are disappointed … but no one could possibly be more disappointed than me." On the other hand, Kirkman has written more than 150 issues of The Walking Dead comic books, so there will be no shortage of material for the AMC zombie show. "I know how the story wraps up. The big question is when and how far in the distance that is," Kirkman told Rolling Stone. "You’ll eventually be able to see that it all kind of comes together."